Published March, 2017 at 432 × 540 in Actresses. 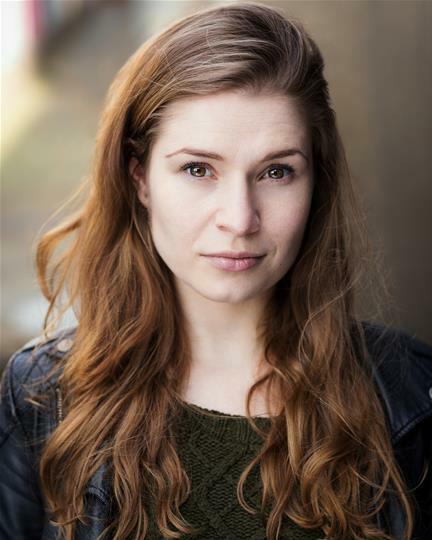 Born and bred in a small South West Oxfordshire town, Evie’s training before the three year BA in Acting at Rose Bruford College started at The Chipping Norton Youth Theatre and The National Youth Theatre. Much of Evie’s time at college was spent just down the road at the RSC; watching numerous productions. She was chosen, less than a year later to be part of the Chorus ensemble of Compagnia di Pippo Delbono’s Henry V; part of the RSC Complete Works Festival. Before embarking on her third year at Rose Bruford, Evie was lucky enough to work be part of the The Globe’s collaboration with LOCOG What You Will: Pop Up Shakespeare directed by Jonathan Moore and Mark Rylance, and then became one of their Soneteers in their annual Sonnet Walks the following year. Since graduating Evie’s credits include Hermia in A Midsummer Night’s Dream and a feisty Juliet in Box Clever’s tour of Romeo & Juliet.